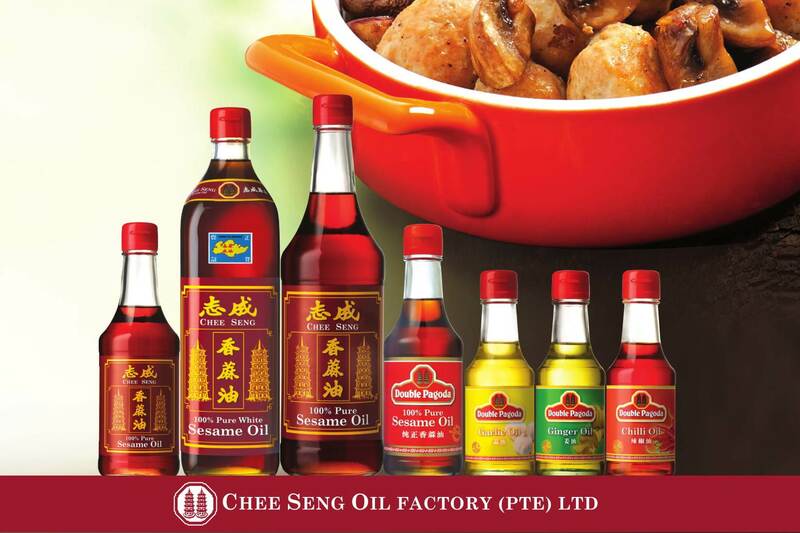 Since 1956, CHEE SENG OIL FACTORY PTE LTD has been providing consumers with High Quality, Cold Pressed, unrefined. That retains the Natural Goodness and Flavour of its source. Chee Seng Sesame Oil was awarded Gold Medals by the International Monde Selection consecutively for five years from 1988 to 1992 for its High Product Quality and Packaging Design. Subsequently, it was awarded Grand Gold Medal in 2002 and 2003 in recognition of the marked improvement in its product quality. In year 2000, our company became the first among sesame oil manufacturer to be accredited ISO 9002 certificate (by AJA EQS Certification (Singapore) Pte. Ltd.). Looking for potential distributor for the Middle East region.